While children today spend 95% of their time indoors, Wilderness Youth Project works to resolve that nature deficit, taking 1,000 children outdoors each year through school day and agency partnerships, after school programs and summer camps. Wilderness Youth Project’s “Bridge to Nature” program serves our community’s low income students and meets them where they already are, at our partner organizations and schools. Beginning at age four, we connect with participants experiencing homelessness at Storyteller Children’s Center. 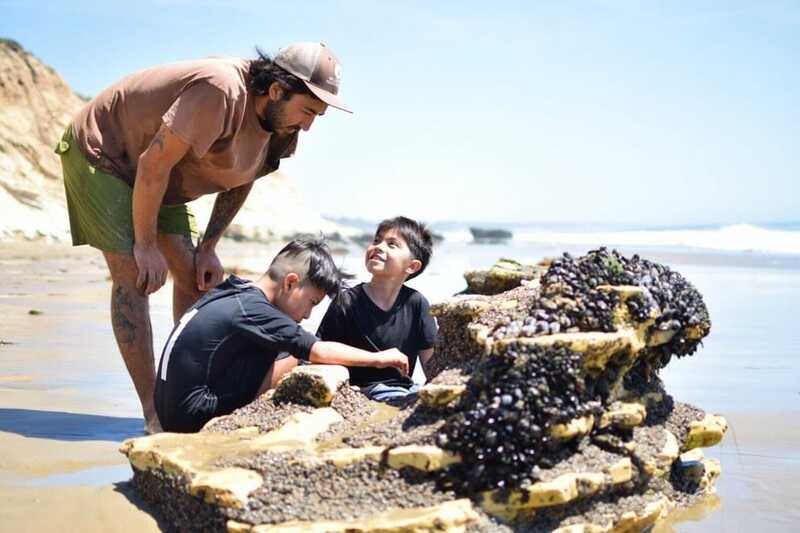 For fourth graders, we take participants into nature for four hours once a month at half of Santa Barbara School District elementary schools. Then, as participants get older we lead a weekly after-school group for teens at the Santa Barbara Police Activities League (PAL). These programs, paired with the opportunities to join summer camps, allow participants to maintain consistent and reliable connections with our mentors. Going outdoors is one of the best ways to keep kids excited about learning and to build their connection with the natural world. A case in point is the 2005 study by the California Department of Education which found that at-risk children who participated in outdoor educations programs raised their science test scores by 27 percent, improved their conflict resolution and problem-solving skills, and experienced better self-esteem and motivation to learn. To support nature connection for children with financial needs, please make a donation. We are also always looking for consistent volunteers to join our groups more information here. For more information about Bridge to Nature, give us a call at 805-964-8096 or send an email to info@wyp.org.